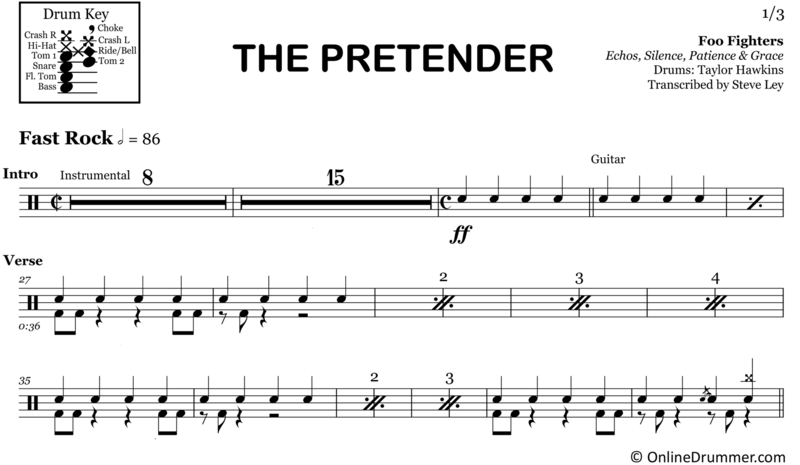 The full drum sheet music for “The Pretender” by Foo Fighters from the album Echos, Silence, Patience & Grace (2007). 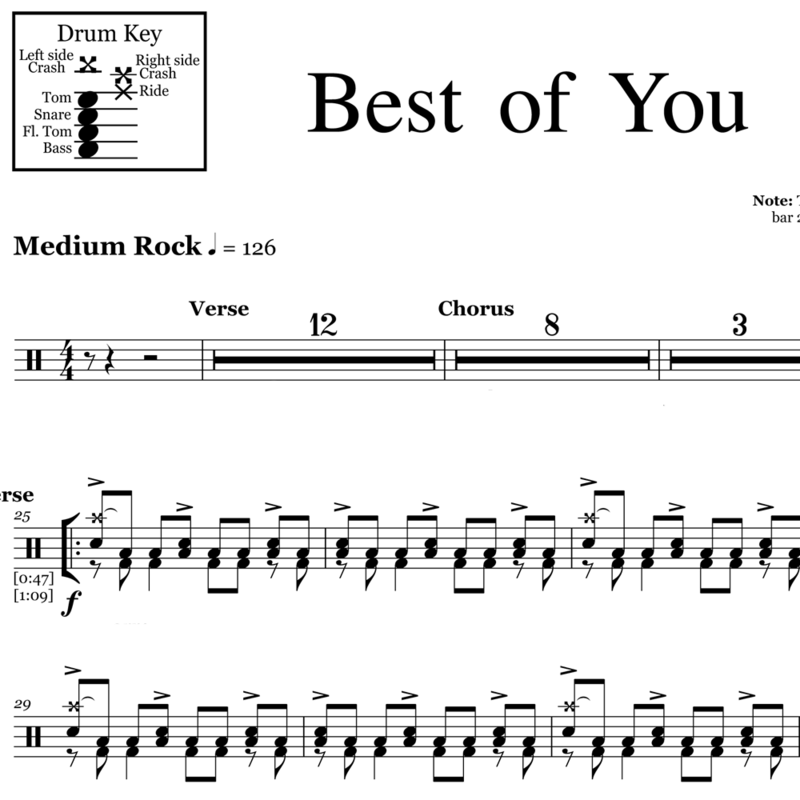 The full drum sheet music for "Best of You" by Foo Fighters from the album In Your Honor (2005). 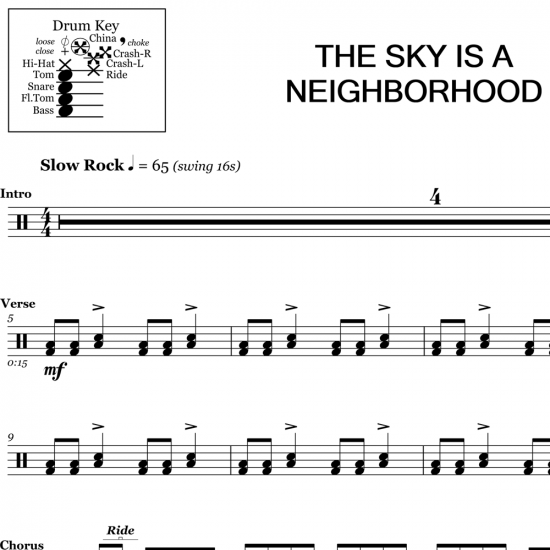 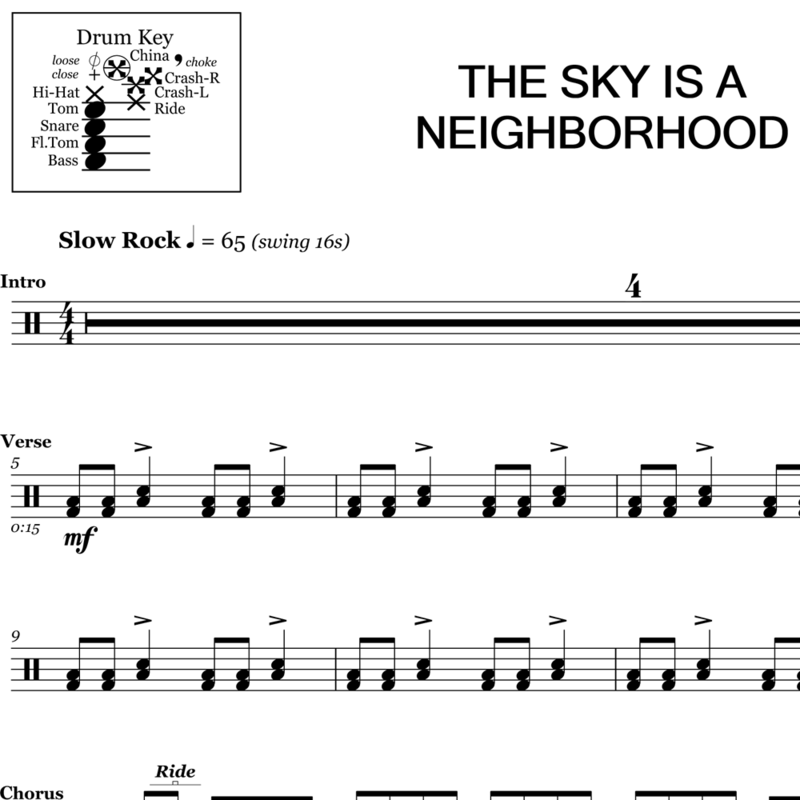 The full drum sheet music for "The Sky is a Neighborhood" by Foo Fighters from the album Concrete and Gold (2017). 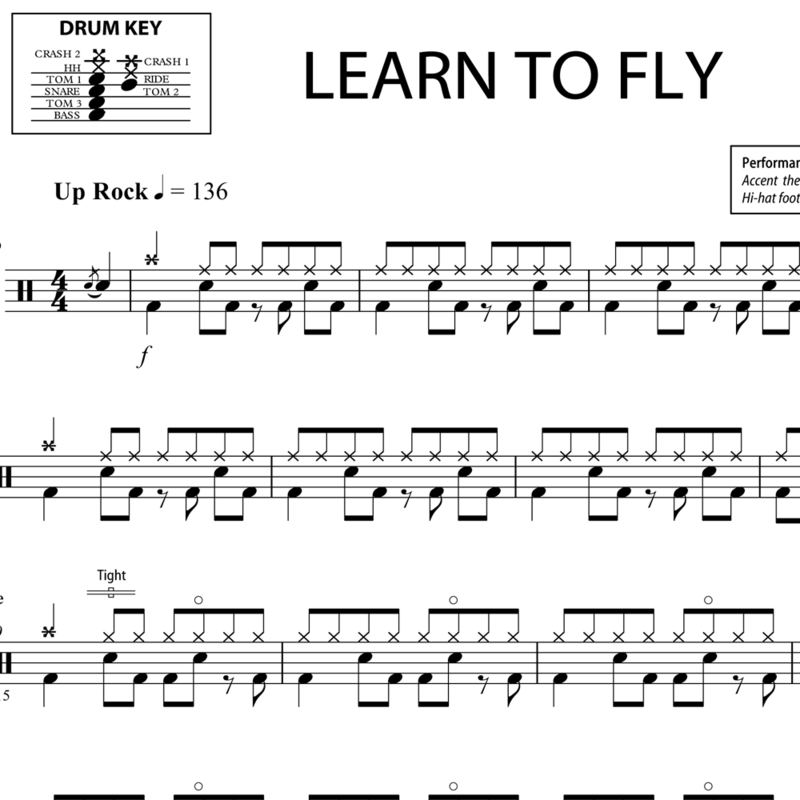 The full drum sheet music for "Learn to Fly" by Foo Fighters from the album There is Nothing Left to Lose (1999). 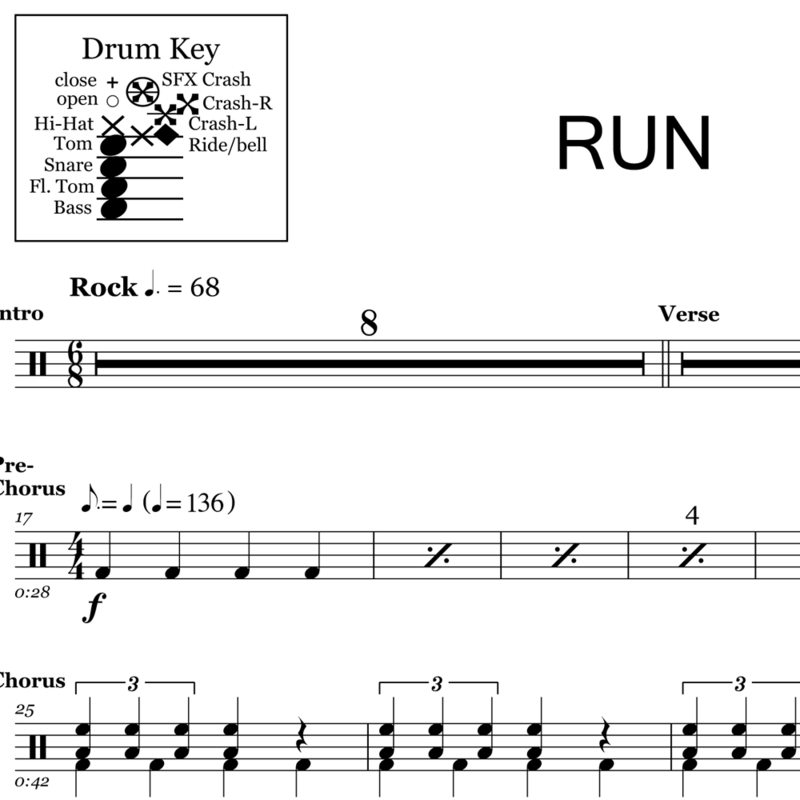 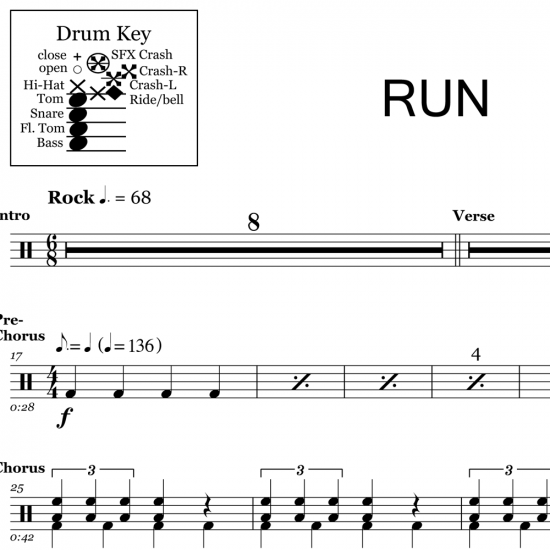 The full drum sheet music for "Run" by Foo Fighters from the album Concrete and Gold (2017). 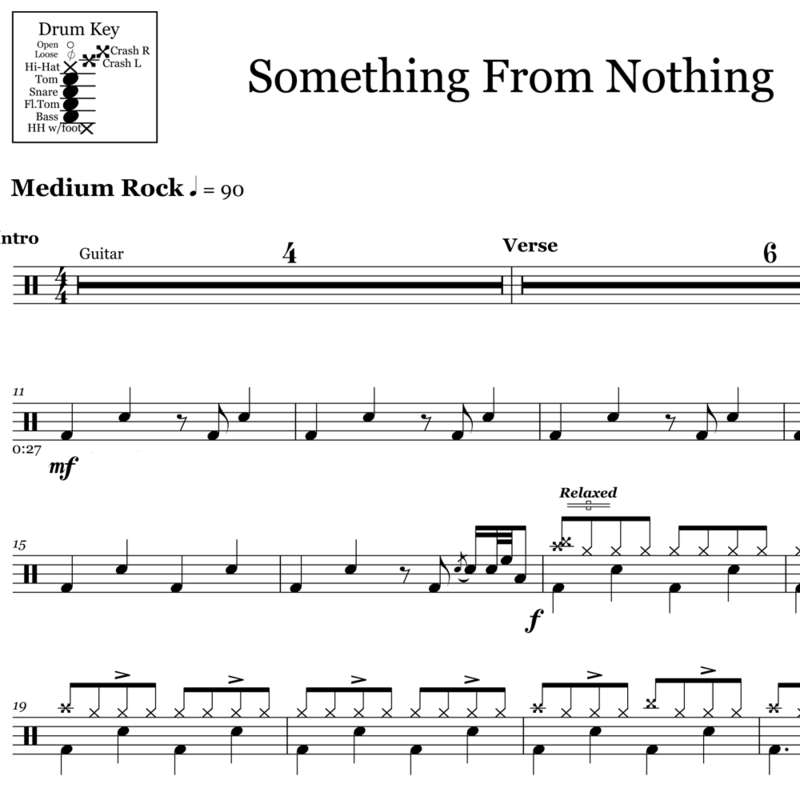 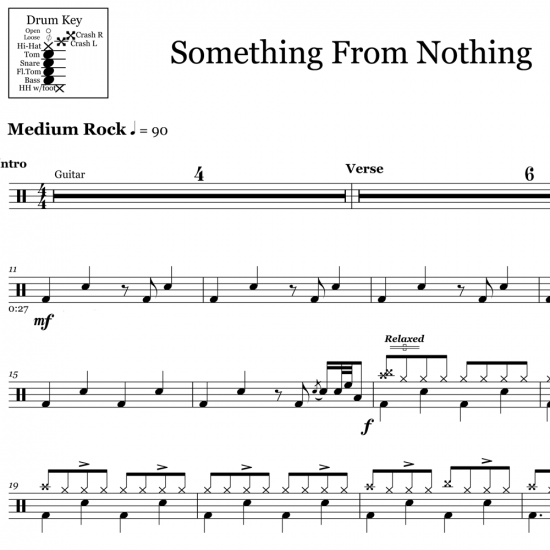 The full drum sheet music for "Something From Nothing" by Foo Fighters from the album Sonic Highways (2014).